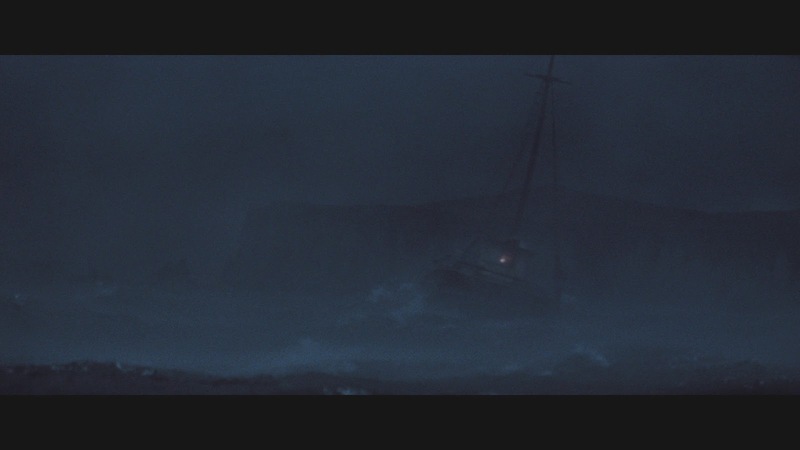 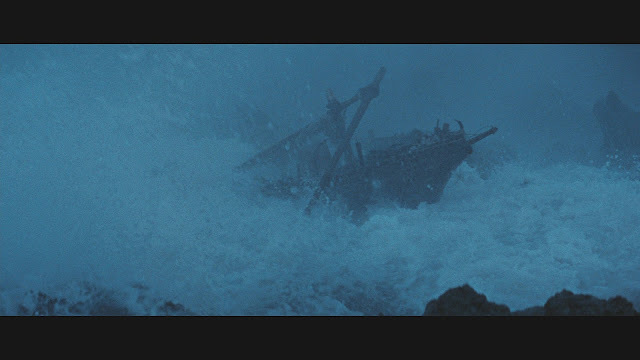 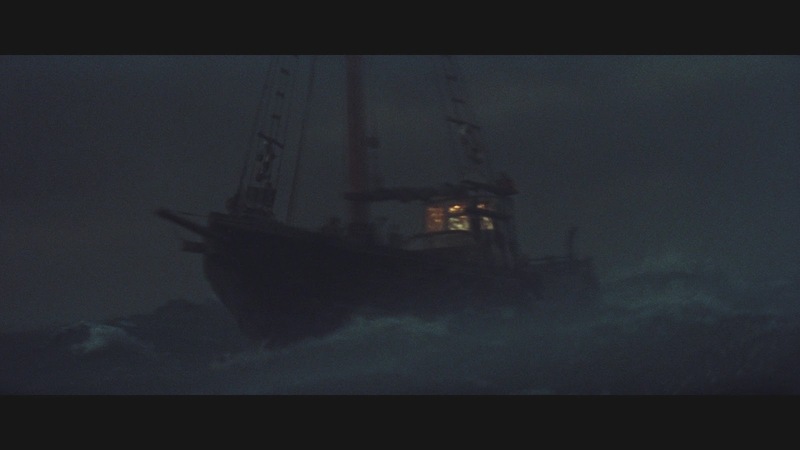 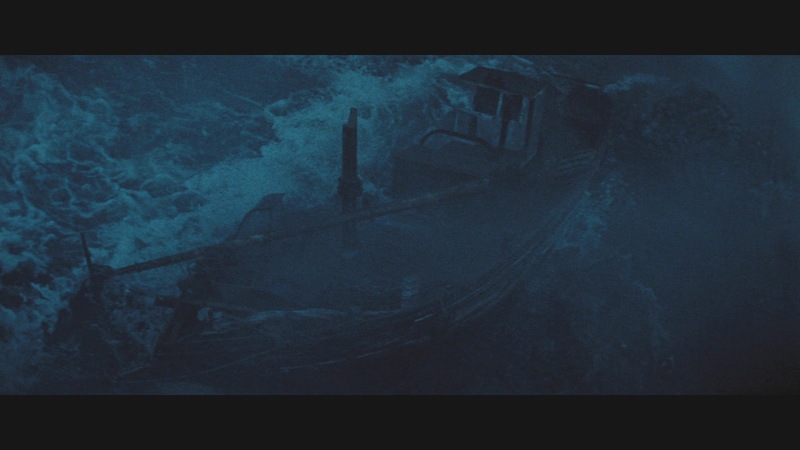 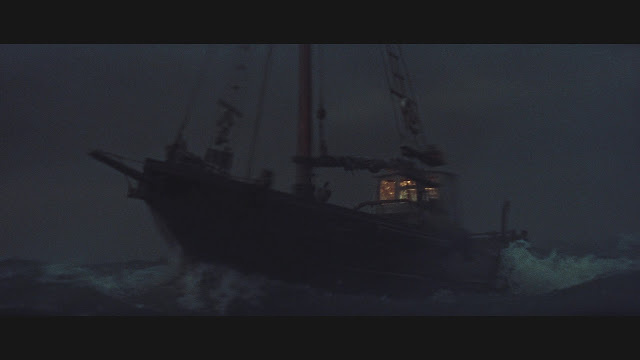 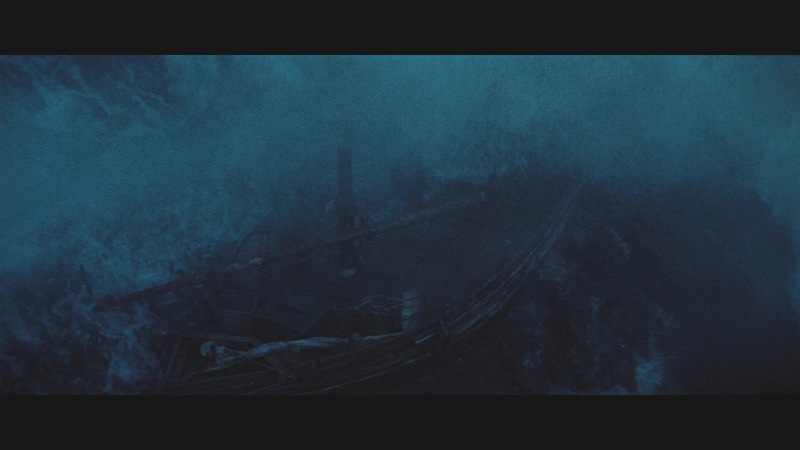 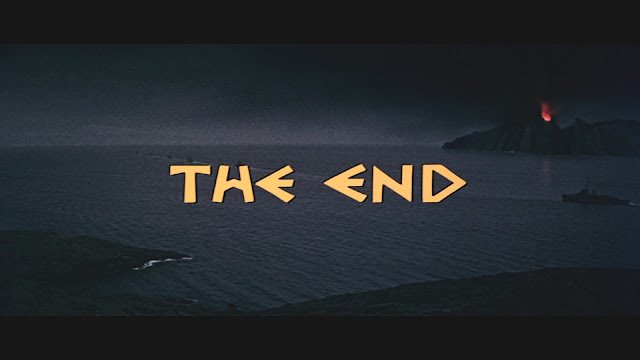 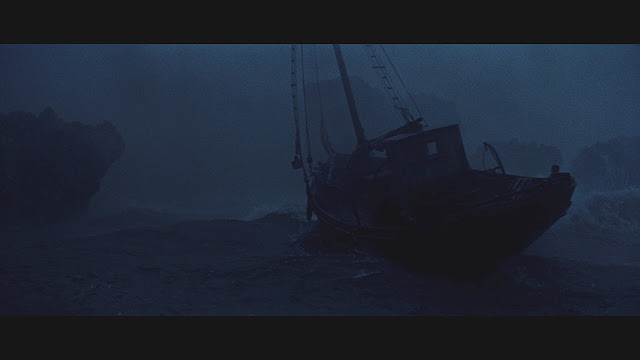 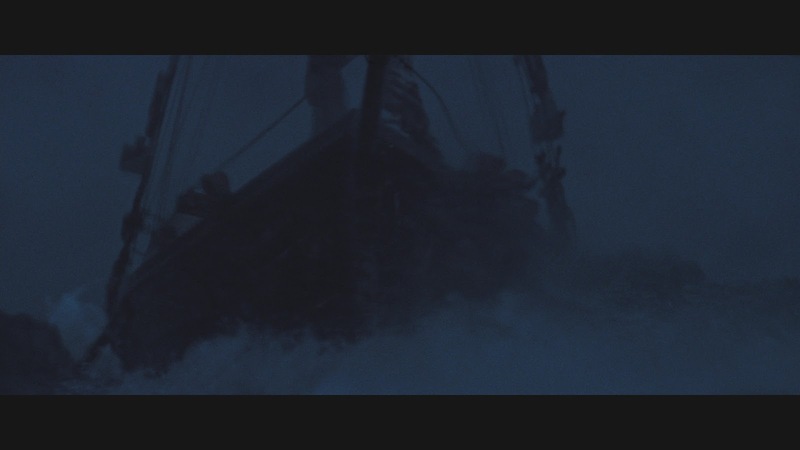 This film won an Oscar for visual effects for its miniatures supervisor Bill Warrington and rightly so as it has a terrific model Greek fishing boat in a storm sequence as well as climaxing with an explosive model destruction sequence concerning the guns of the title. 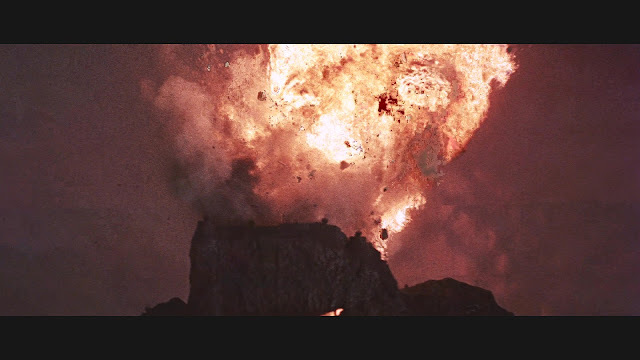 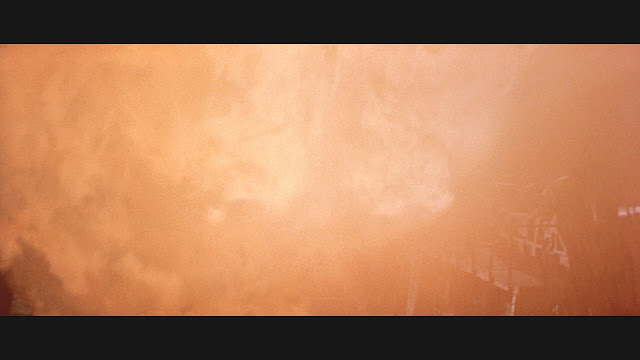 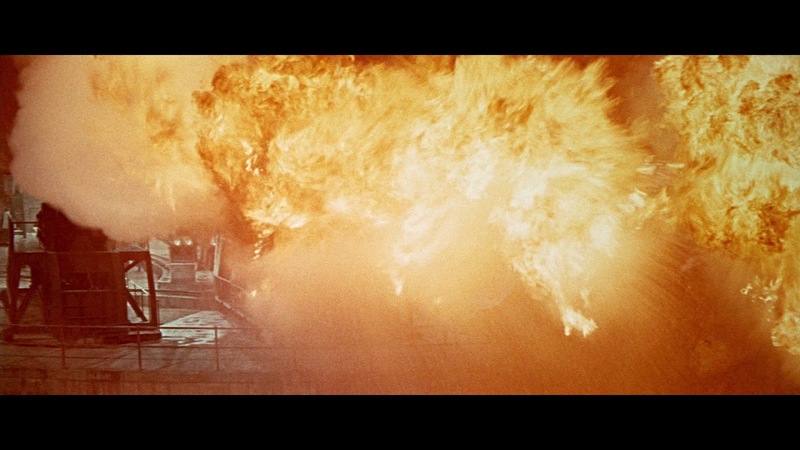 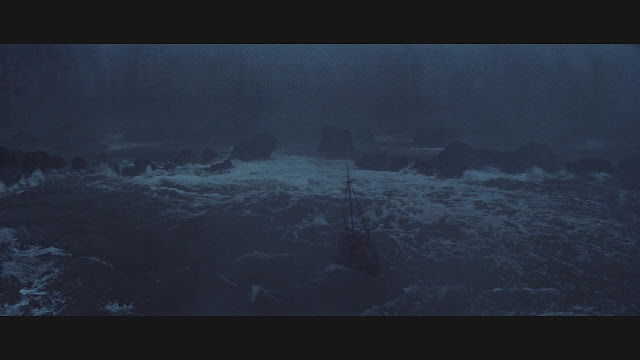 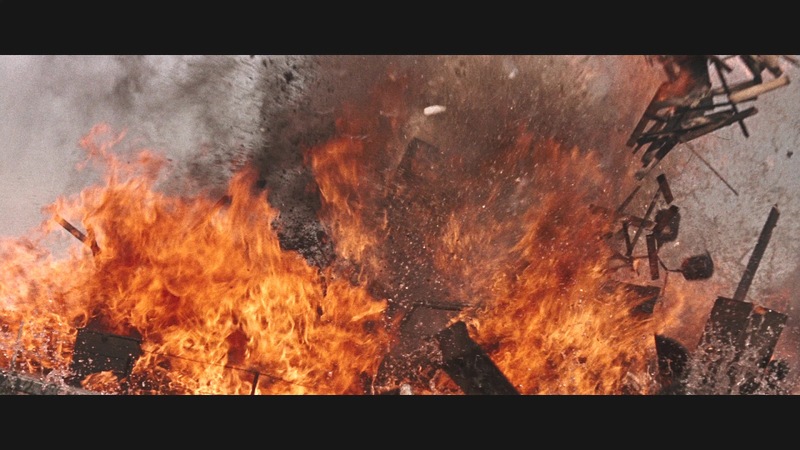 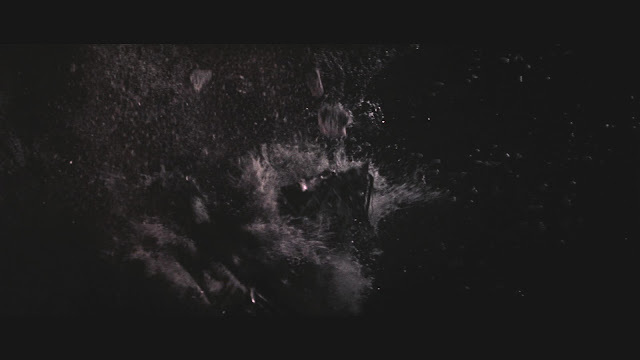 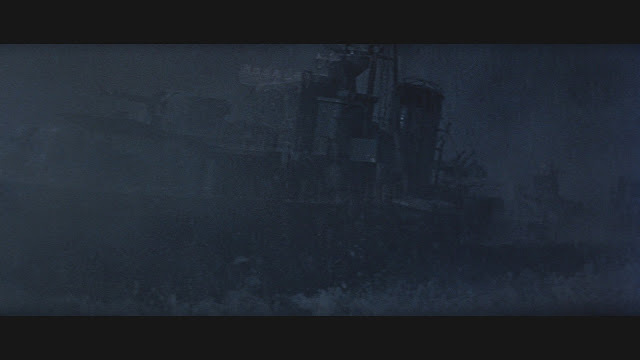 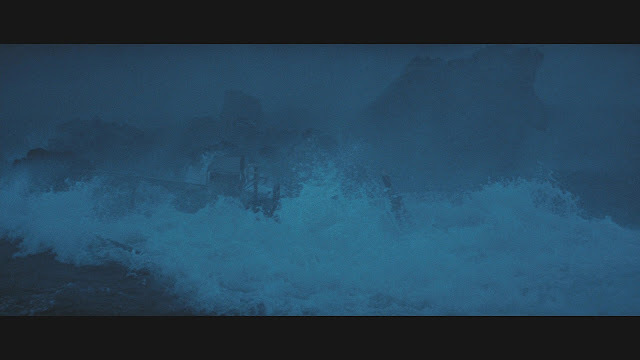 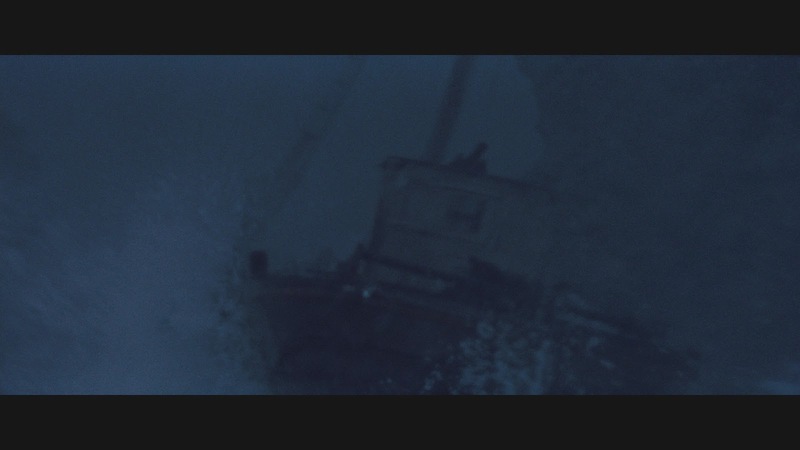 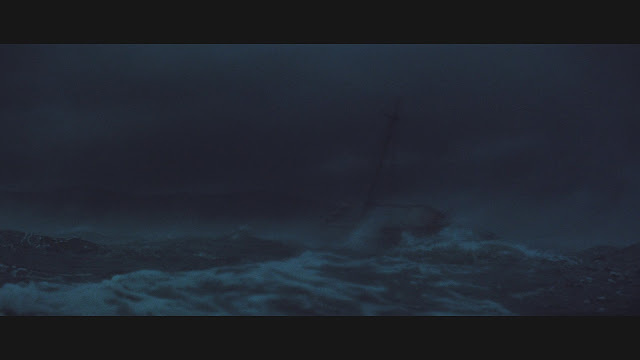 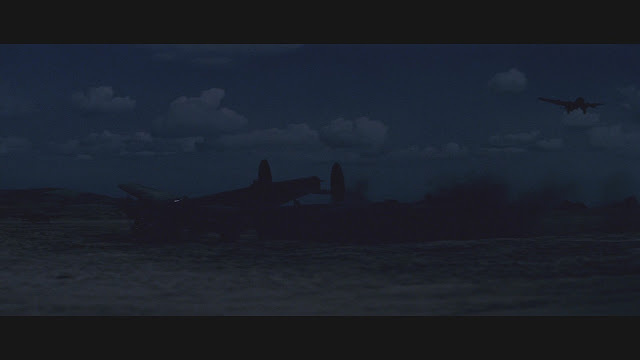 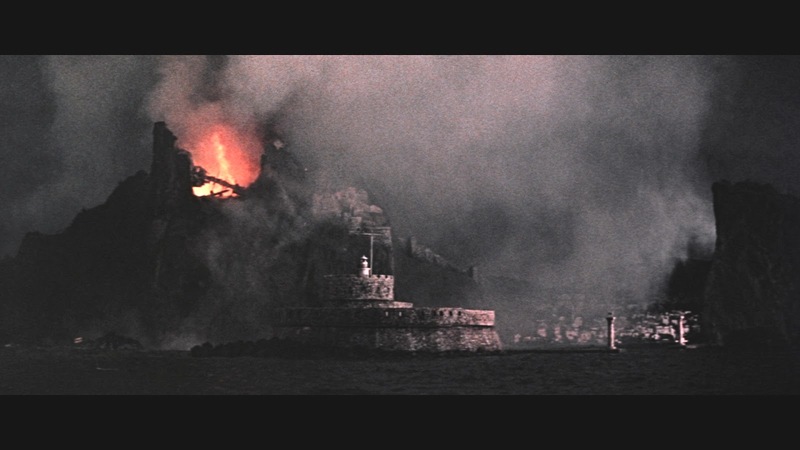 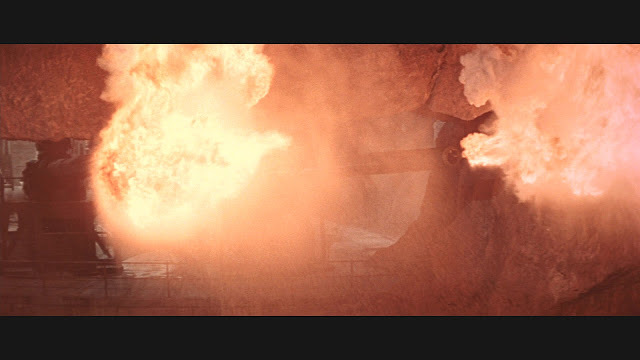 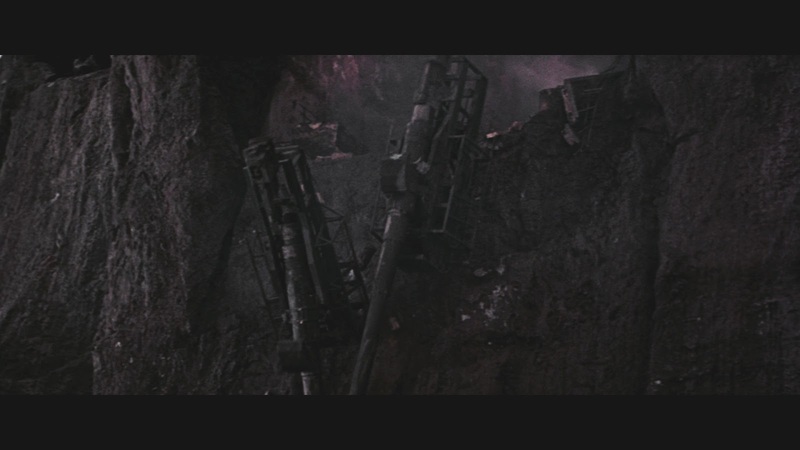 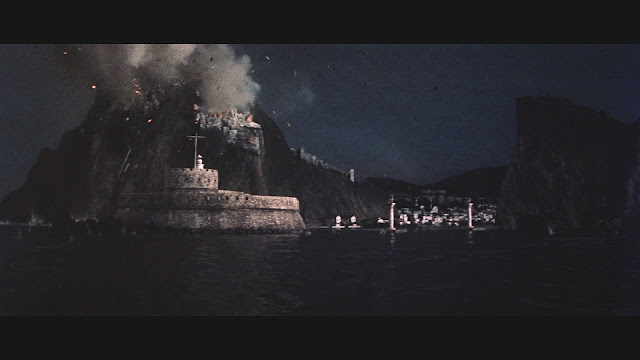 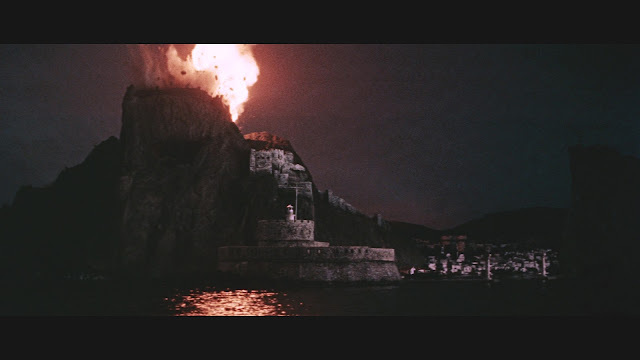 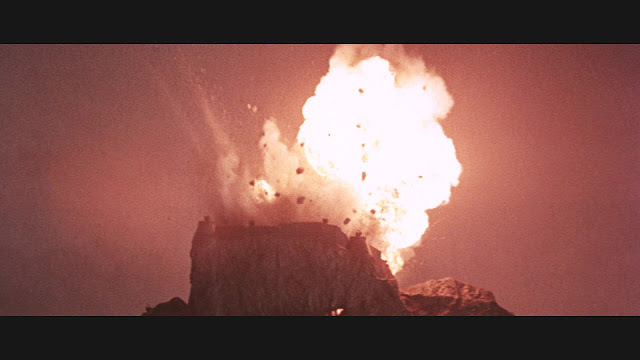 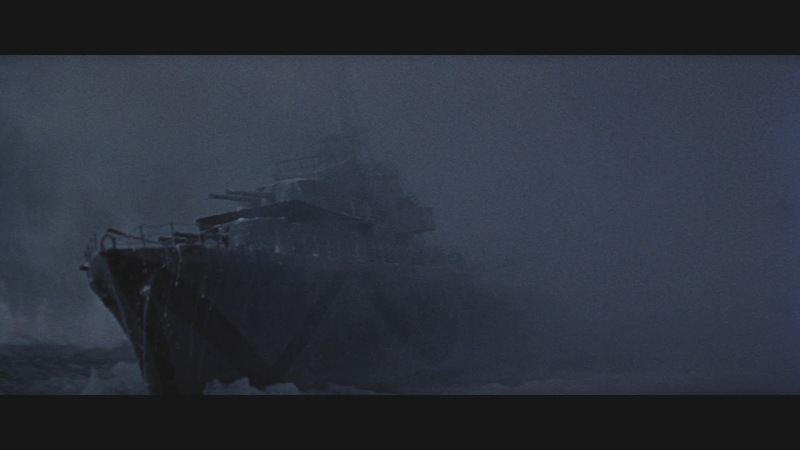 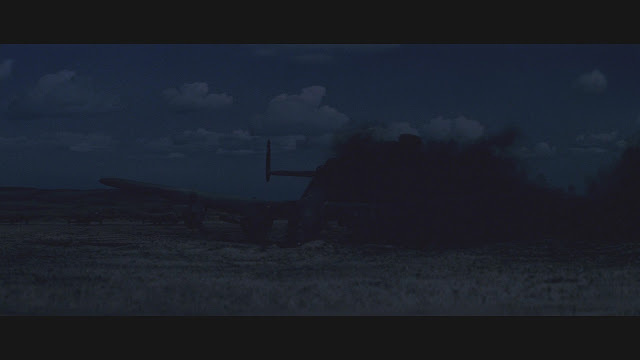 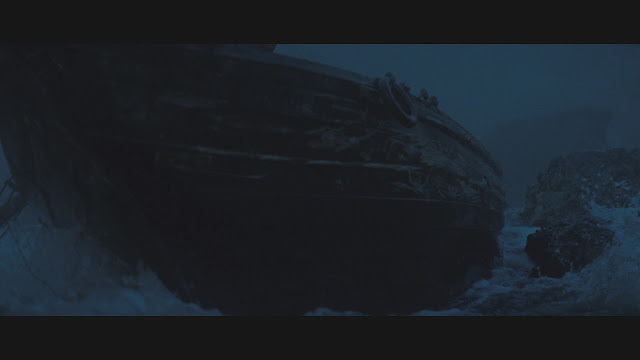 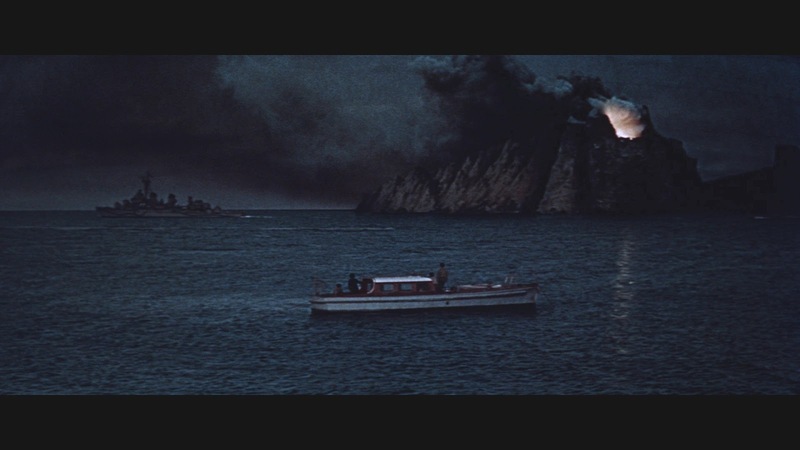 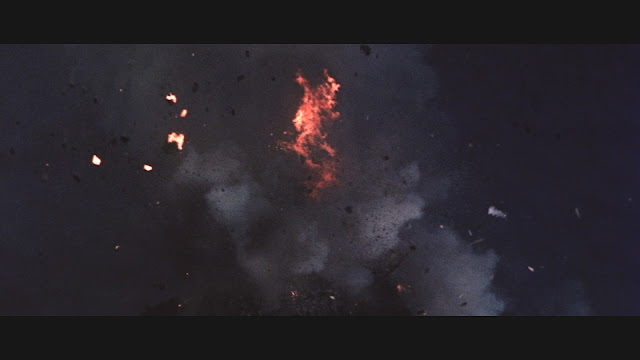 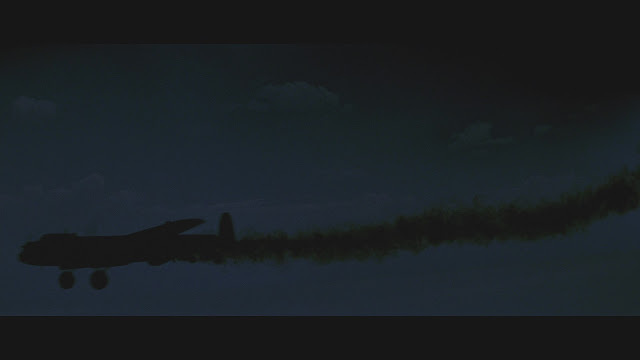 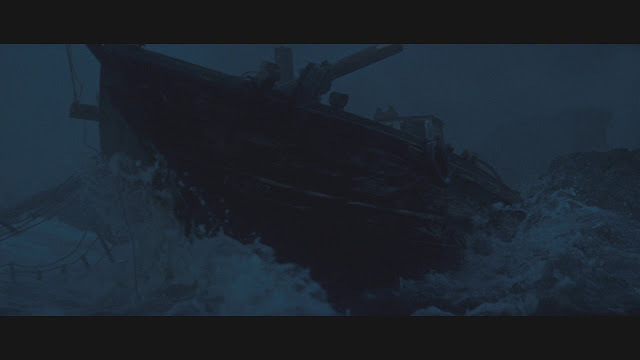 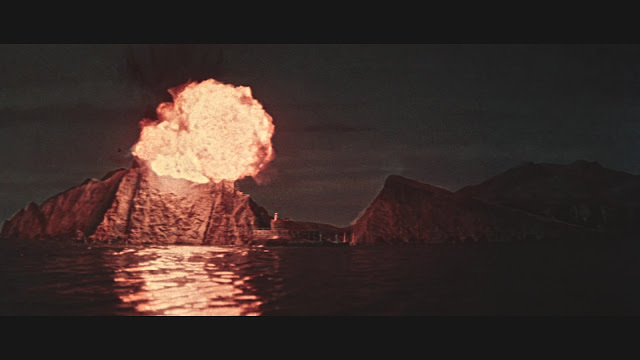 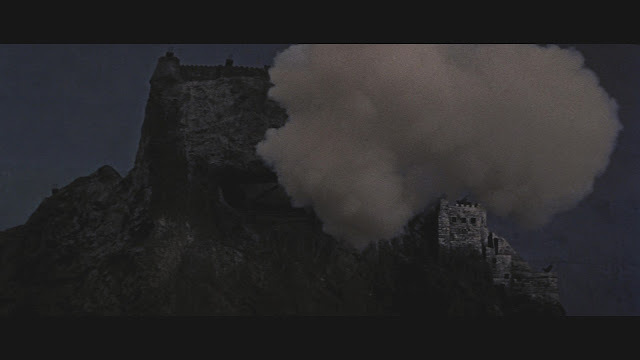 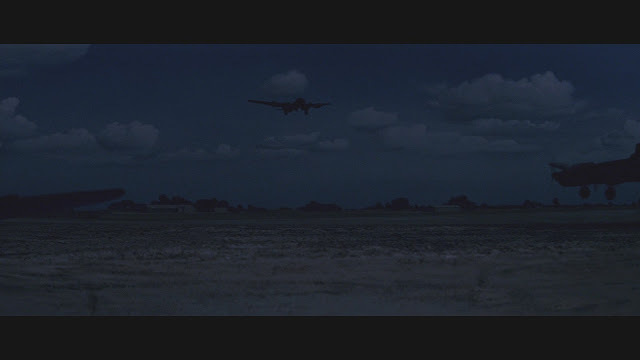 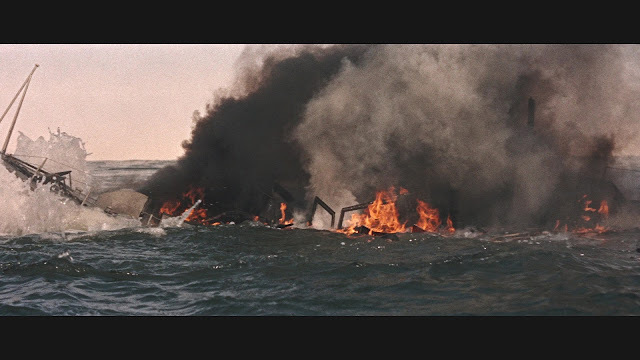 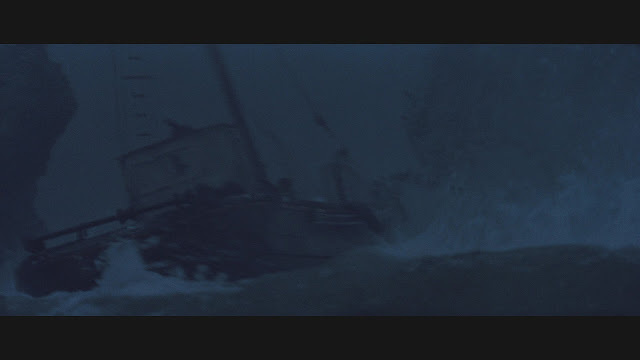 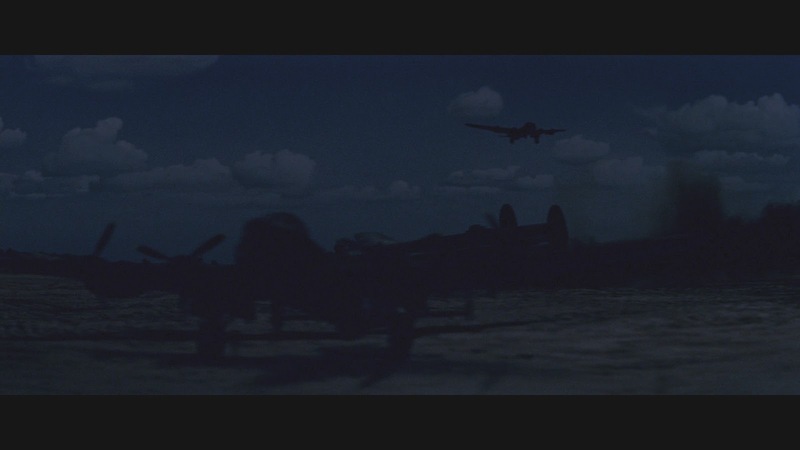 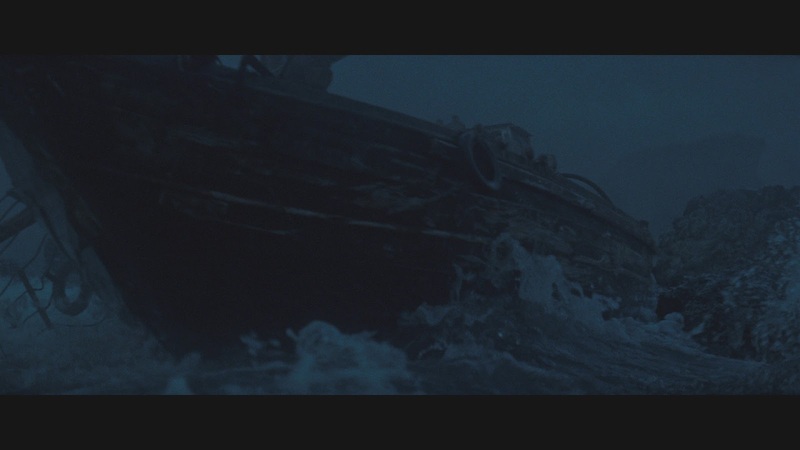 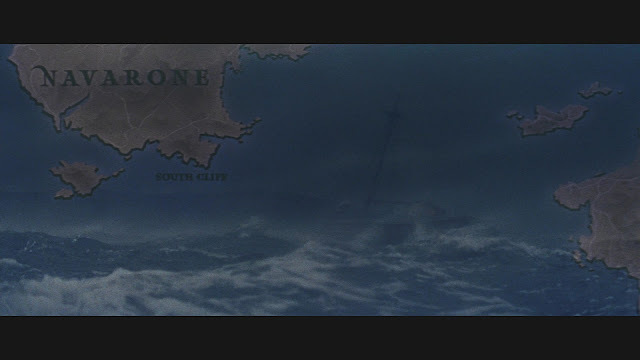 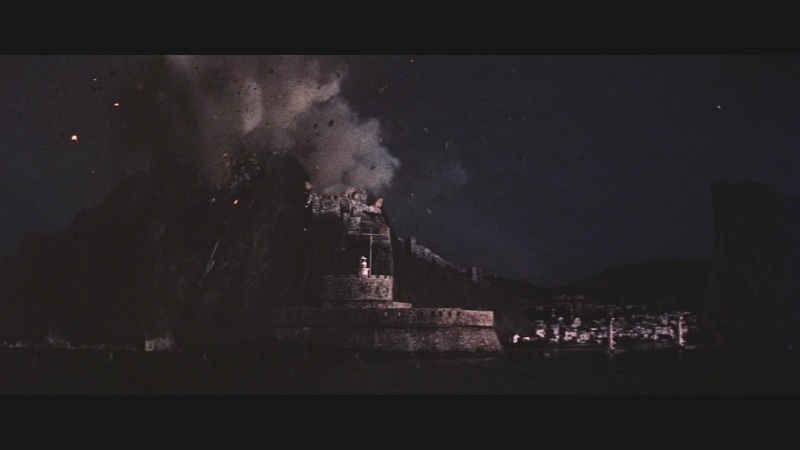 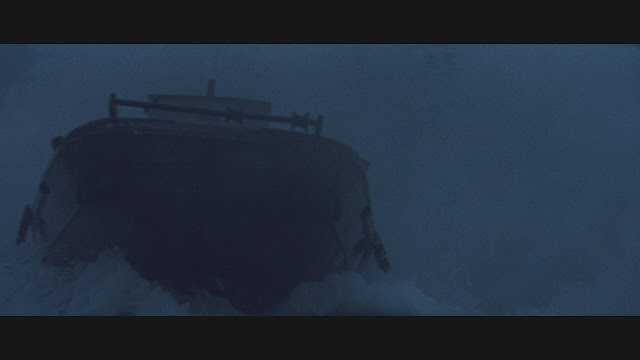 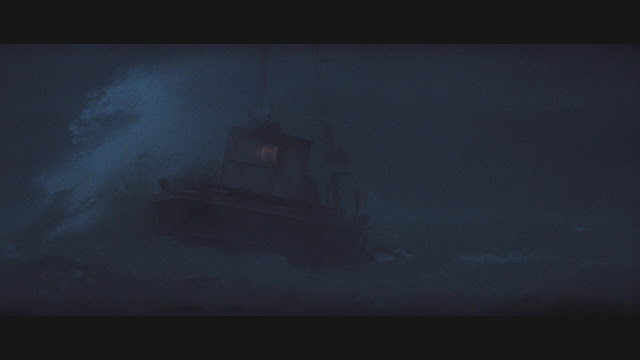 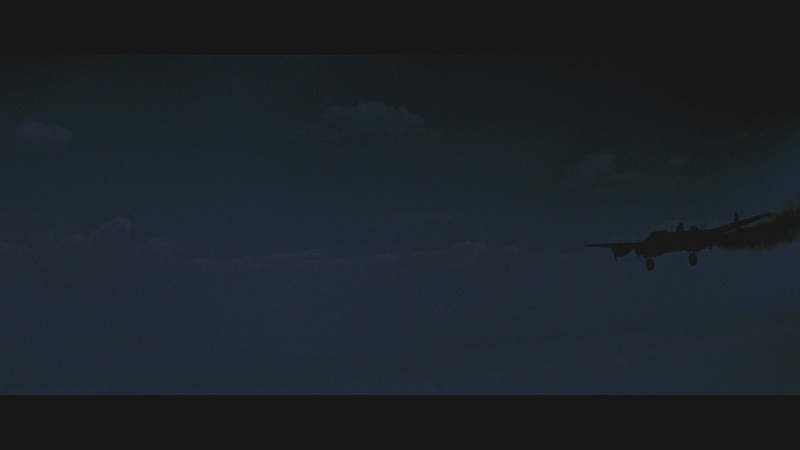 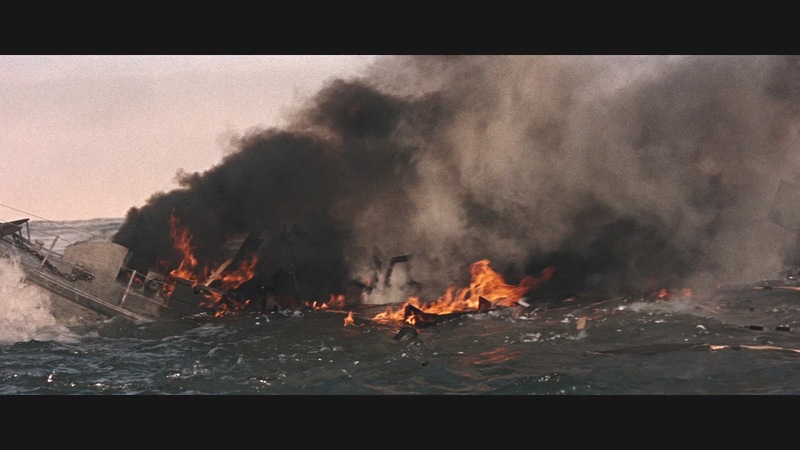 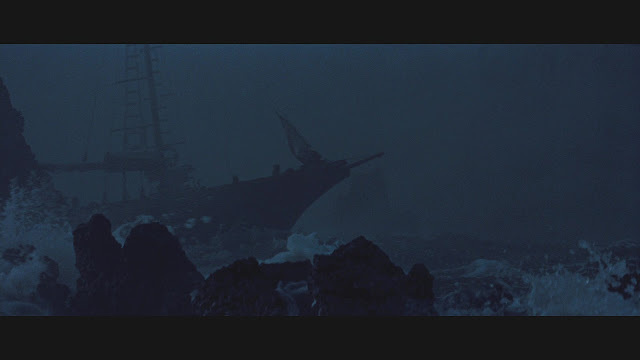 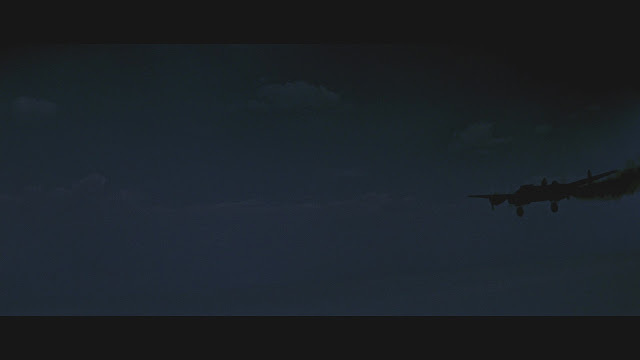 There is also a miniature Lancaster aircraft crash sequence at the start of the movie, a mostly full size German patrol boat explosion is augmented with some close ups on a miniature version which then sinks. 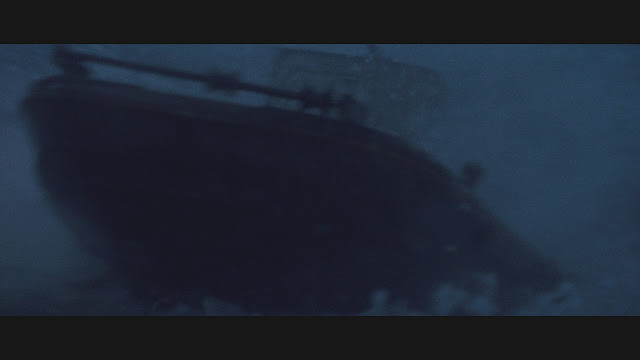 A British destroyer coming through the water thrown up by near misses from the guns also make an appearance in miniature form in a couple of cuts. 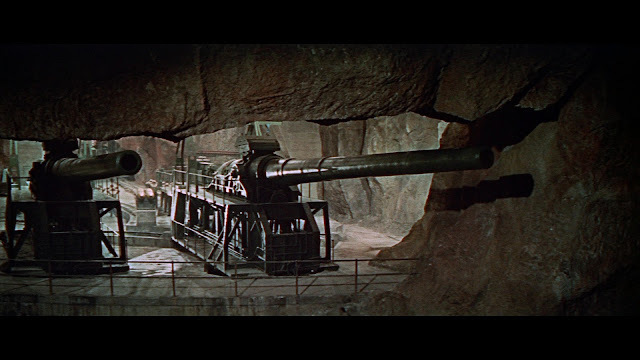 The full size gun cave set is pretty impressive as well. Wally Veevers supervised the Optical effects with Bob Cuff responsible for a number of matte paintings sprinkled throughout. 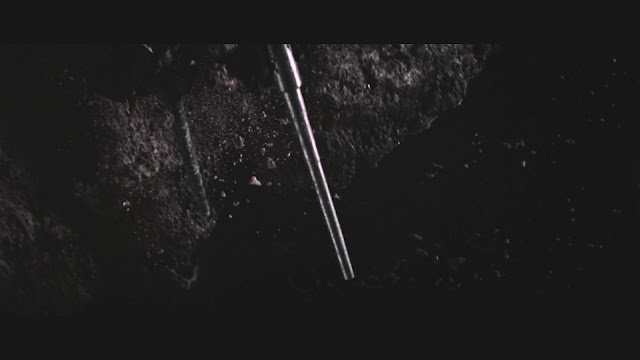 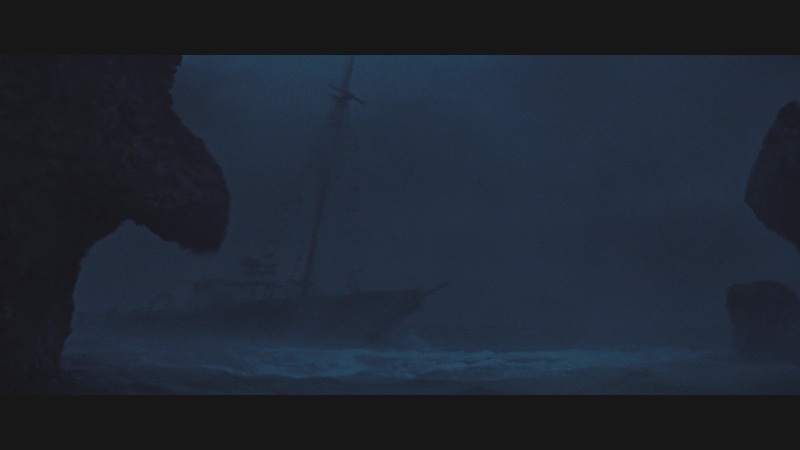 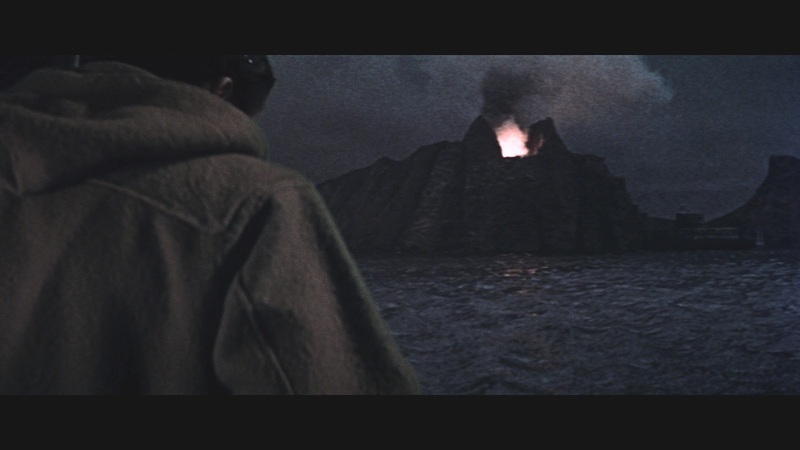 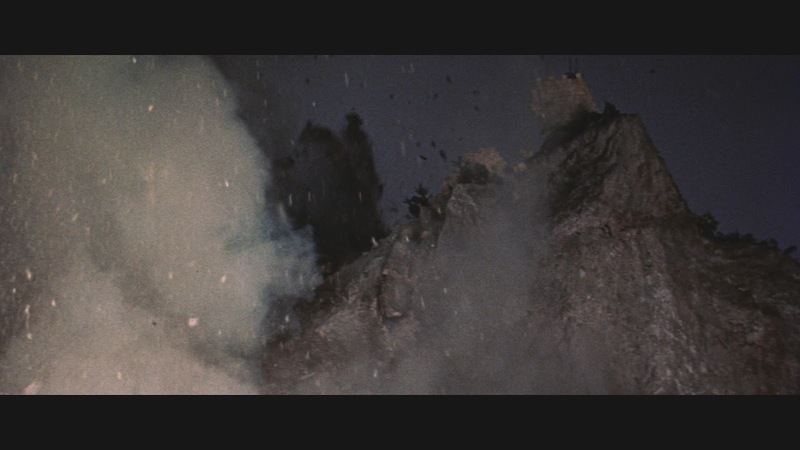 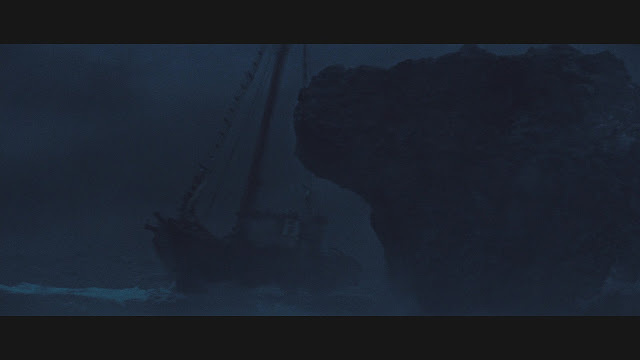 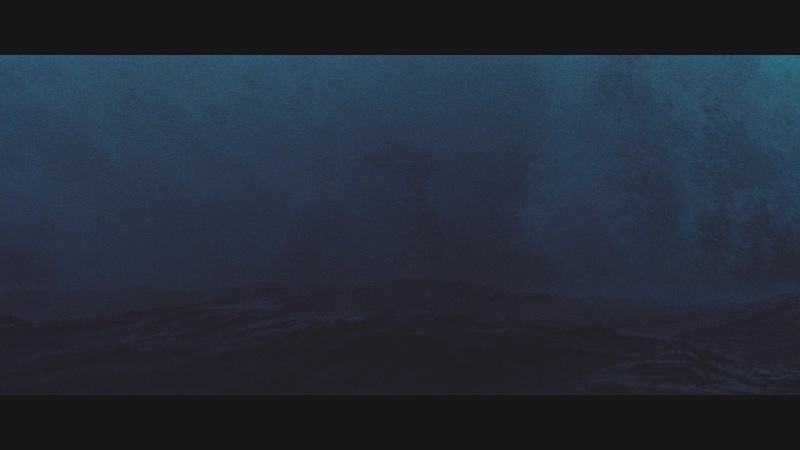 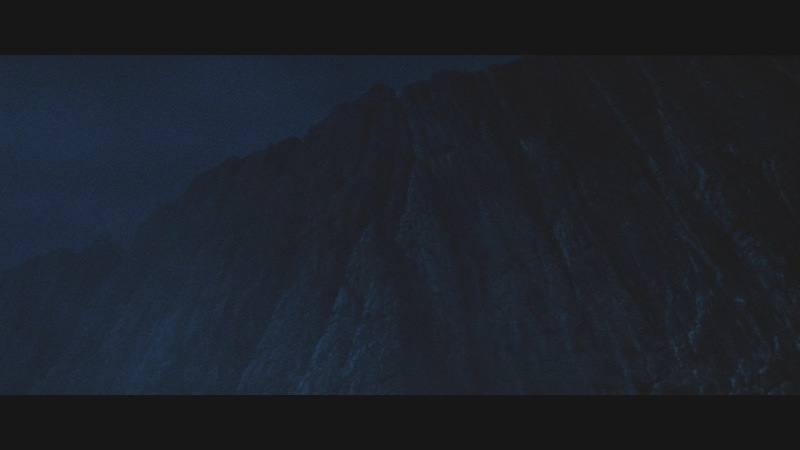 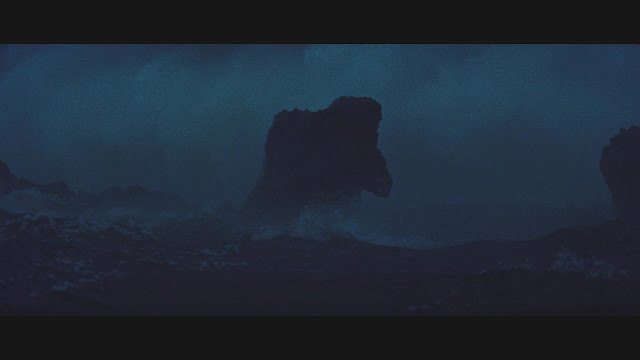 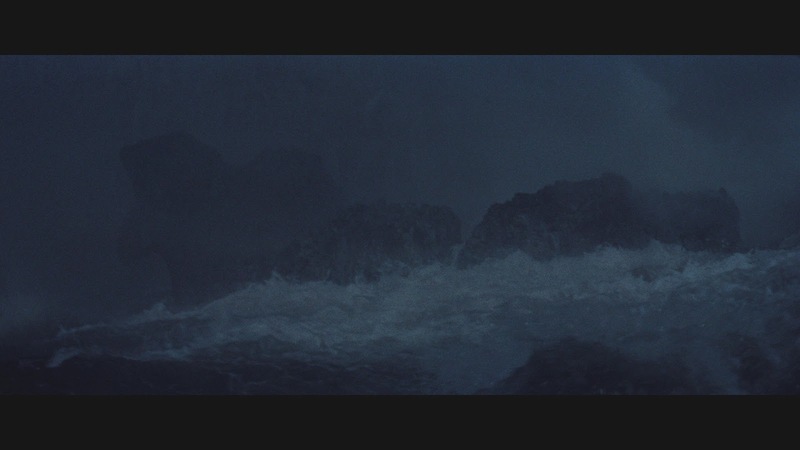 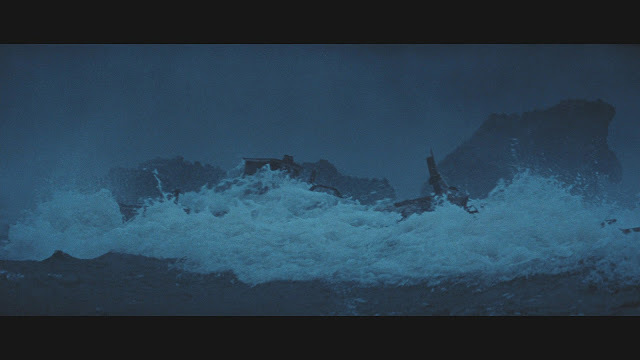 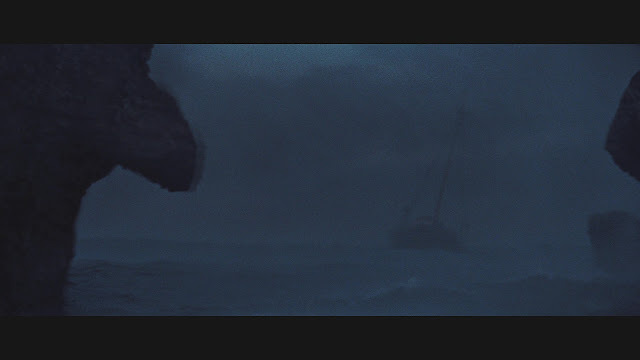 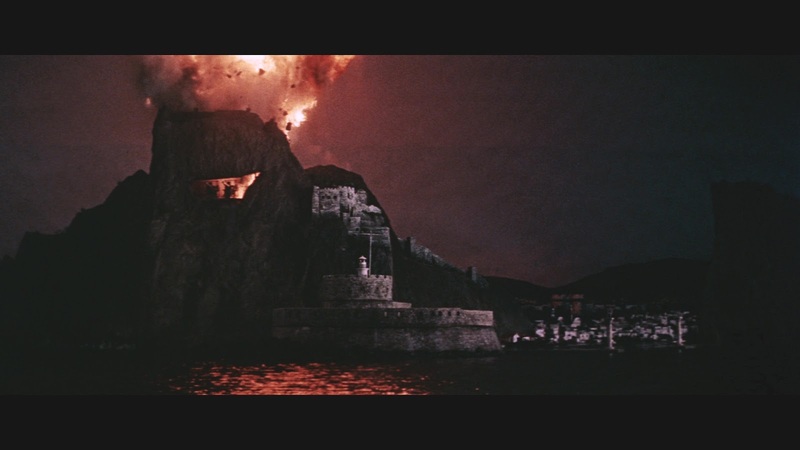 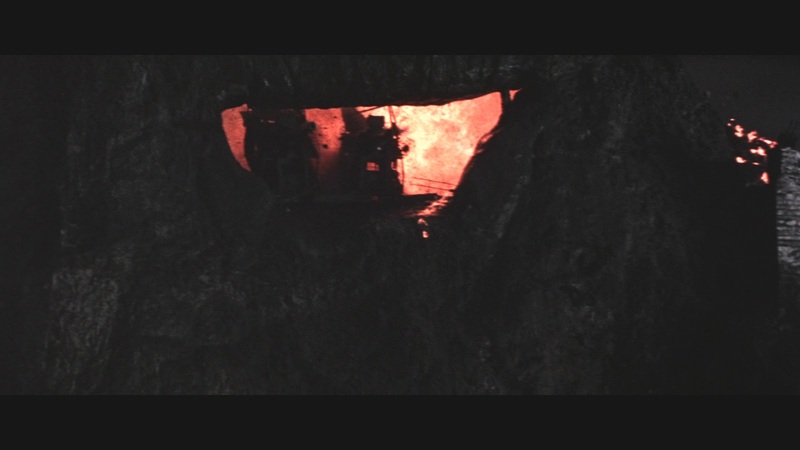 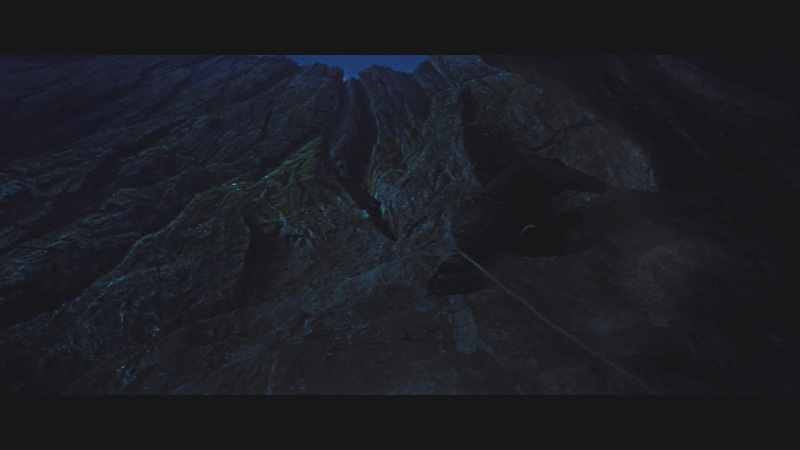 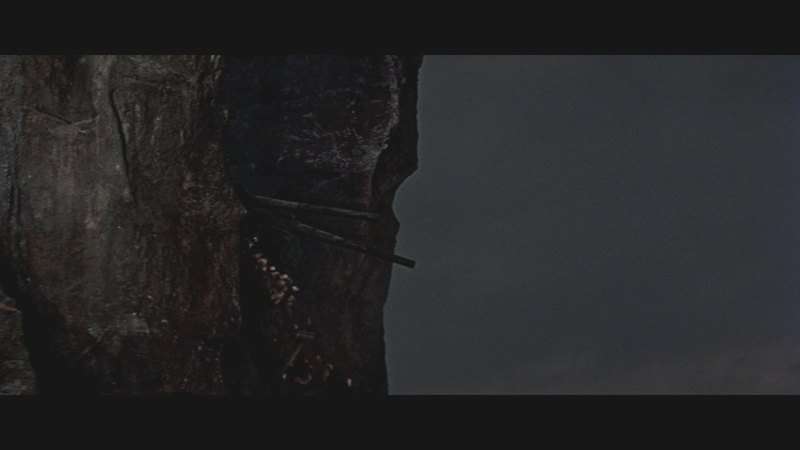 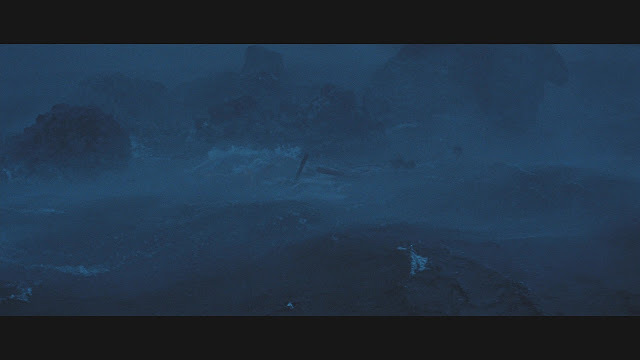 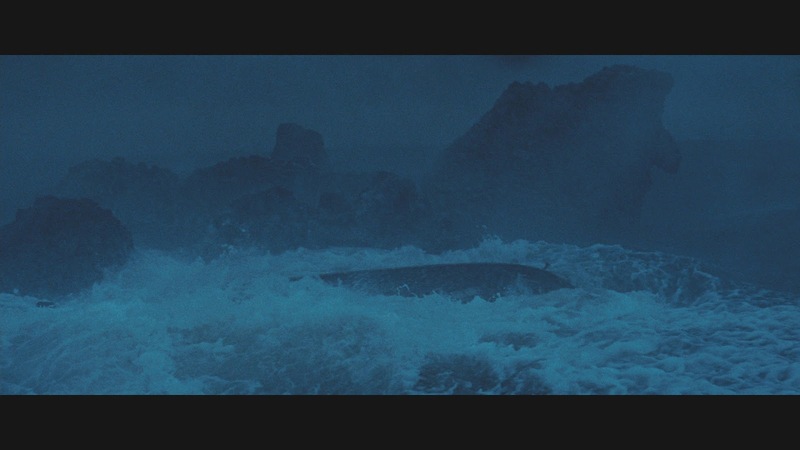 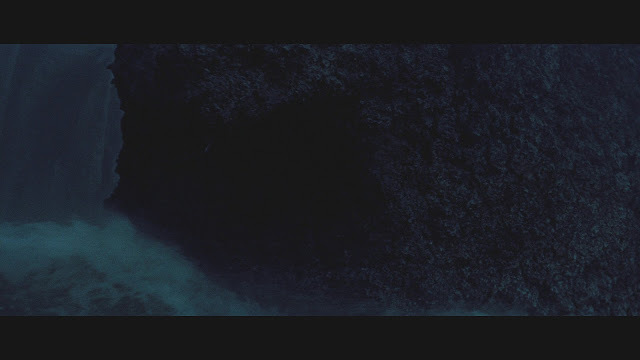 Projected miniature ocean effects also provide the backdrop for the cliff climbing scenes. 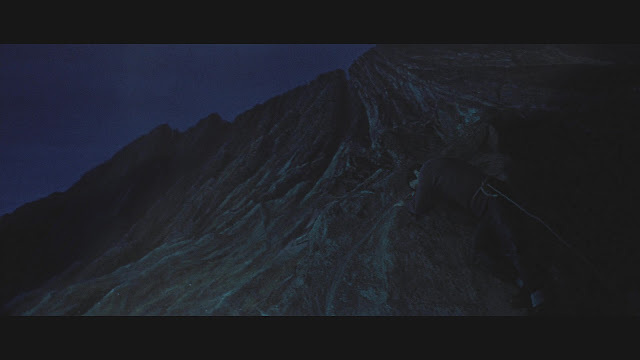 The Actors are actually lying horizontally on the rock set piece constructed on the floor of the studio with a rear projection screen vertically behind them. 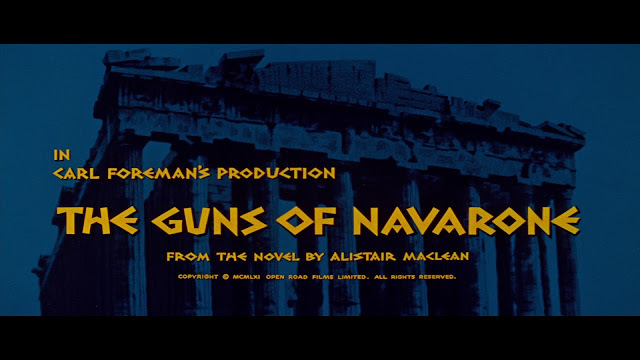 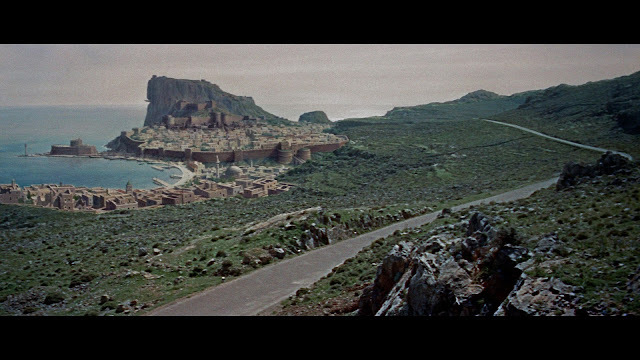 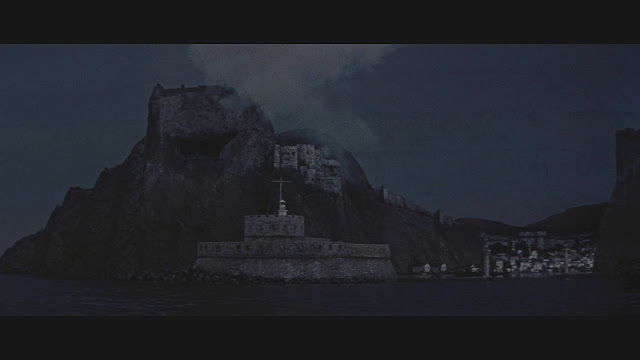 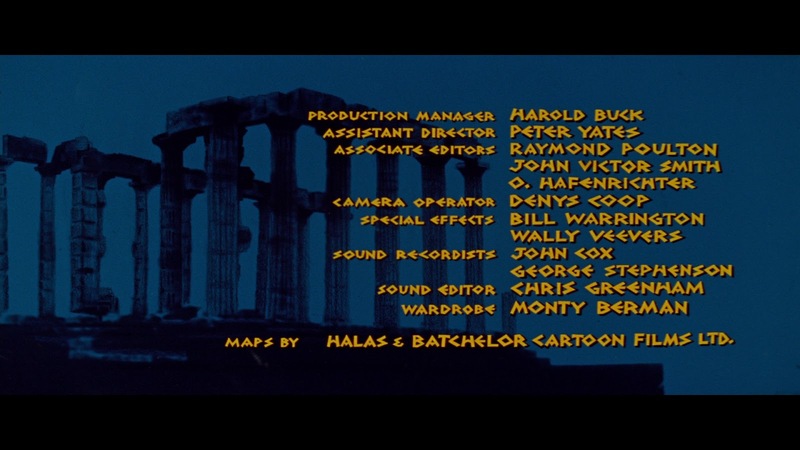 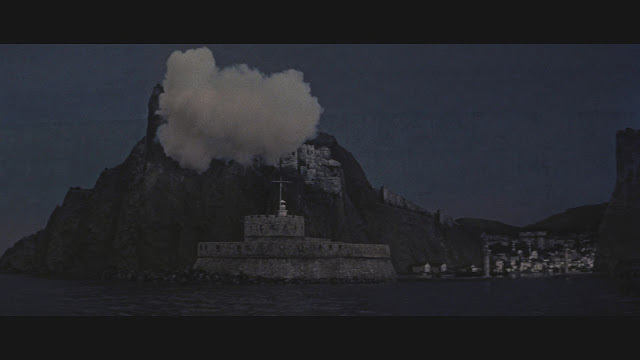 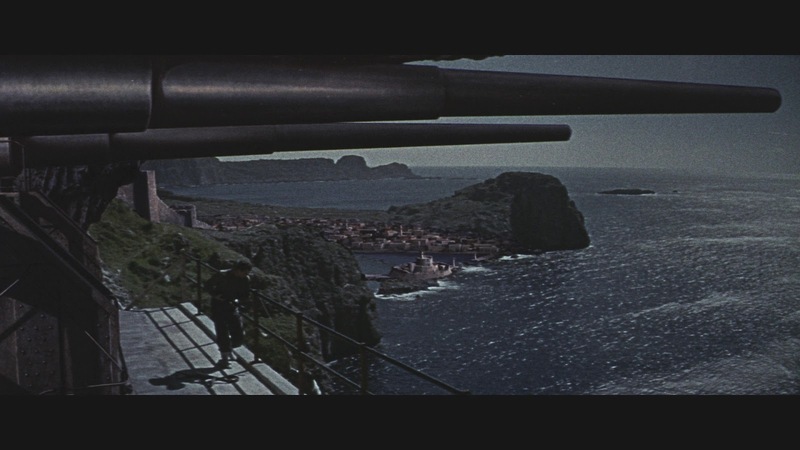 Excellent motion picture ...the film was shot on location on the Isle of Rhodes and the guns were suppose to be located on the acropolis of the town of Lindos . One of the best adventures films ever made. 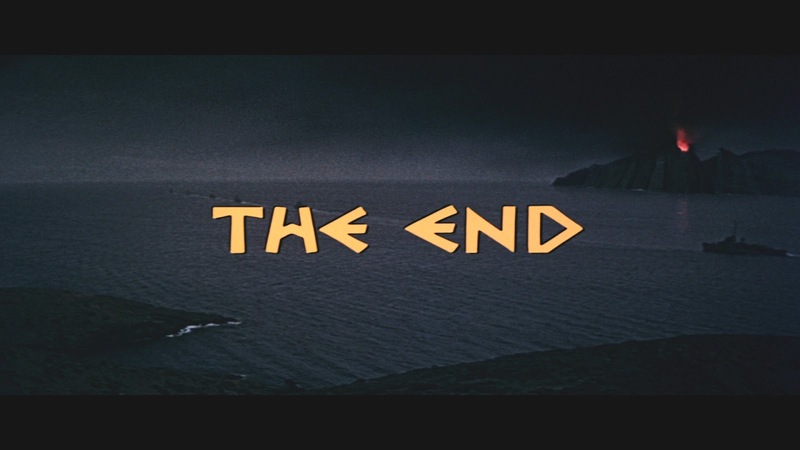 The formula used for this adventure story is clearly better than that of the Bond films. 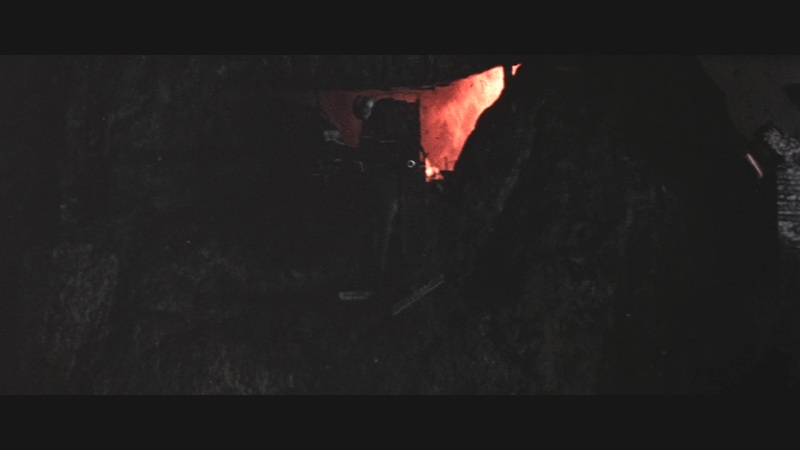 Thanks for the printscreens. 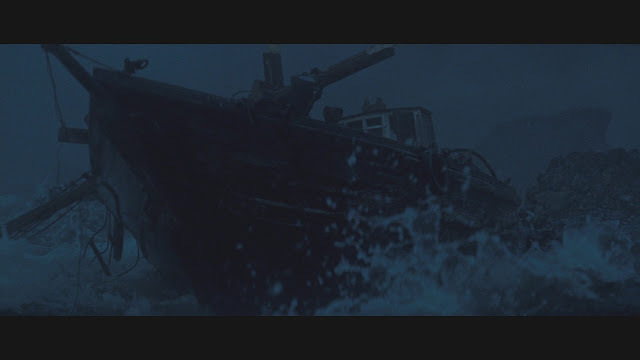 I have to watch the movie ... again.